As a teenager I only had one ambition: to work in radio. Actually, more than that, I wanted to be Tony Blackburn. I'd grown up surrounded by it, from my parents listenting to Radio 4, to my siblings listening to Radio 1. The radios in our house were big valve sets that took a minute or two to warm up so when my sister got a transistor radio for her birthday it was a big deal. I used to negotiate over its use at the weekends so I could listen to Ed 'Stewpot' Stewart's Junior Choice. Later, I'd annoy school friends by running a mini betting syndicate on who would be number 1 on Tuesday (I went home for lunch and would listen to the new countdown, at that time with Paul Burnett1). I still love it - my iPod is full of Radio 4 programmes - and Tony Blackburn is still sounding sensational on Pick of the Pops. Enough respect to the irreplacable Alan Freeman, but enough of Tony to make it his own. Come on - who doesn't want to get on air and do that chart rundown, pop pickers? Well, I never got to do that of course but I did spend time at Signal Radio in Stoke on Trent (1983-84), County Sound in Guildford (1985) and, most memorably, Radio Orwell in Ipswich (1985-89). I have a separate page about Radio Orwell itself and a page about my time at Signal Radio. Most of my radio work was in writing and voicing commercials but I did some presenting as well. When you work on a local station in Suffolk, expect to take your turn on the country & western show, but I did swing jock stints on pretty well all shows (the swing jock is the one who fills in when the regular presenter is unavailable). I did the Saturday breakfast show for a while - typical local radio pop and prattle - but there was one programme I did that was definitely 'mine.' 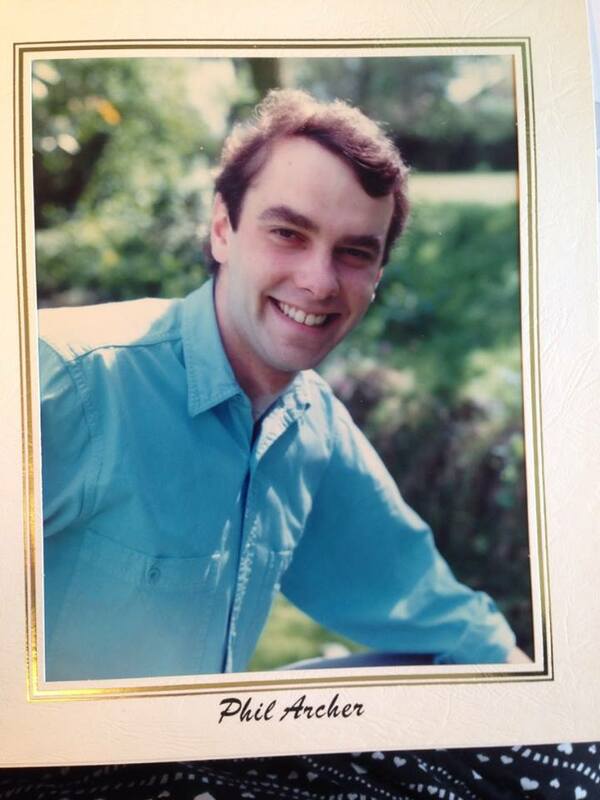 In 1988, as part of a station re-launch, I was asked to do an evening programme for teenagers. This would be part of a new strand of programmes that did away with some of the specialist shows we'd had in the slot previously. Bye bye folk music, easy listening, classical and more - only country survived. Streatbeat (my silly spelling, sorry - in 1988 I thought it was a cool reference to the Beatles) ran Mon, Tue, thu & Fri 21:00 - 23:00 and I had no real boundaries. I could do more or less what I liked. When it started I really wasn't sure what I'd do but in circumstances I can't quite recall a bunch of us went to one of the local American air bases one evening and played pool (badly). There was a disco there and the DJ was playing high energy music that wasn't soul-based dance music/hip-hop. It sounded really good to me and that was what set the tone. I played a lot of Simple Minds, U2, the more tolerable end of the 'indie' spectrum - and definitely no Stock Aitken & Waterman. I don't have any recordings of any live show that I did, but I do have some of the pre-recorded material from those years. I'm gradually getting around to putting it on line here. Roll Over Sid Vicious A look back at the music of the 80s. 3 part documentary. Tx. 28 - 30 December 1989.